We enjoy listening to it at home, at work, in the car, in the store, and almost any place we go. Music appears to hit upon our stressful lives pretty much every single day. No wonder, songs and tunes can be vitally important to many humans. It can make us calm, content, and happy despite our demanding lifestyles. 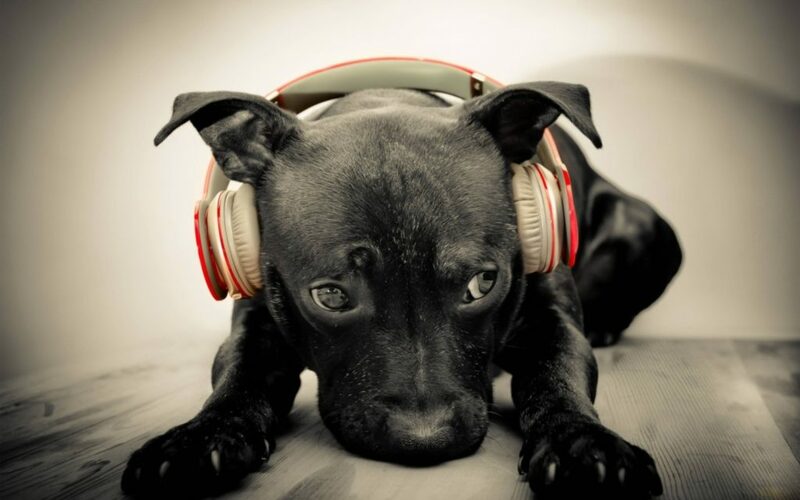 But did you have any idea that your pooch can also be calmed by music? Recent studies have shown that by playing music, animals tend to become more calm and at ease even in new surroundings. What Music Do Dogs Like to Listen To? Research conducted by Deborah Wells, an animal behaviorist, seems to back up the claim that dogs indeed like music. The result of Wells’ study revealed that pooches find specific types of classical music to be quieting and relaxing, while not being interested in pop music or radio shows. It looks like our furry friends also have their own preferences to music, just like we do. In addition, the researchers of The Animal Science found that playing classical music with a ambient sounds like human conversation, dog barking, and birds chirping incorporated in the melody is considered to be one of the most effective tunes to relax Fido.